(Reuters) - After the Dreamliner, the Hushliner? Europe's latest extra wide-body passenger jet, the Airbus A350, made its maiden flight on Friday and its chief salesman, opening a new front in a battle with U.S. rival Boeing declared it so quiet that airport residents won't even notice it. The lightweight carbon-plastic jet flew over the Airbus plant in Toulouse to salute production workers before wrapping up a four-hour inaugural flight that Airbus officials said had achieved more than expected. Watched by 10,000 staff and spectators, the aircraft's curled wingtips sliced into clouds above the factory in southwestern France and flew over the Pyrenees. The sortie caps eight years of designing and development costing an estimated $15 billion. Airbus's ebullient New York-born sales chief, John Leahy, lost no time in talking up the plane's benefits moments after its two Roll-Royce (RR.L) engines hoisted the A350 from the same runway where the supersonic Concorde took its first ground-shaking run 44 years ago. "Did you hear how quiet it was? We are going to set new standards ... People round airports won't even know we are taking off," Leahy said. It is a milestone for the EADS (EAD.PA) unit as it seeks to catch Boeing's 787 Dreamliner in sales of a generation of lightweight jets designed to save fuel and do less harm to the environment. Boeing was first off the mark with the use of revolutionary carbon-composite materials and its Dreamliner has so far outsold the A350, with sales reaching 833 aircraft to 57 customers. With sales of 613 planes to 33 customers, Airbus hopes to catch up and also mount a challenge to the U.S. manufacturer's larger, metallic 777, thanks in part to the A350's low noise. British test pilot Peter Chandler, who commanded a crew of six pilots and test engineers wearing helmets and parachutes over orange jumpsuits, was elated about the plane. "It was ready to fly and it wanted to fly. 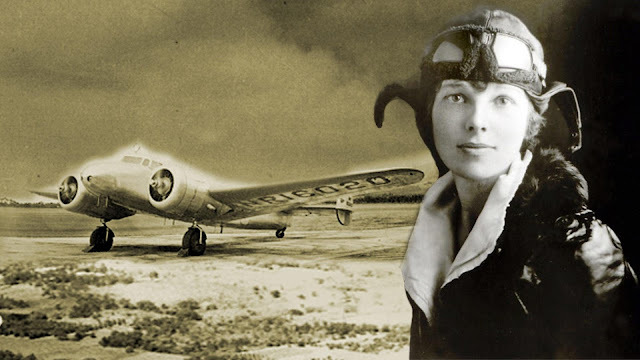 It was clearly much happier in the air," Chandler said. Competition for wide-bodied jets is expected to dominate next week's Paris Airshow, where the A350 has its sights on another fly-by when French President Francois Hollande visits the event on Friday, if tests continue to go well. "I am talking to airlines about placing orders in the very new future. I think you may see some announcements very soon," sales chief Leahy told Reuters. Airbus is finalizing orders from Singapore Airlines , Kuwait Airways and Air France and hopes to add a new customer at the June 17-23 show, analysts say. Boeing sees a market worth $1 trillion for one category of mid-sized long-haul passenger airplanes over the next 20 years and the A350 and 787 are chasing the lion's share of that. More expensive than other aircraft at about $300 million apiece at list prices, the A350's business case relies on fuel savings of some 25 percent compared with ordinary airliners. But aerospace manufacturers are also under pressure to cut emissions and noise to comply with tougher global regulations. Airbus and Boeing both claim the edge on noise levels, which remain politically explosive at airports like London's Heathrow. Airbus said the A350 is up to 16 decibels below international requirements. Boeing said its 787 has a smaller noise footprint than other widebody aircraft, and is equivalent to the sounds of heavy traffic when standing at a roadside. "We welcome any moves towards quieter planes, but let's not run away with the idea that the A350 is a quiet plane. It is simply less noisy than its predecessors," said John Stewart, chair of a residents' group opposing the expansion of Heathrow. The A350's maiden flight is the start of a 12 to 13 month test program that will include putting it through the harshest possible conditions around the globe. Airbus says it is on track to put the aircraft into service with Qatar Airways in the second half of 2014, but the timetable remains "challenging". Project leader Didier Evrard, a former missiles boss credited with preventing a repeat of the disarray on recent Airbus programs, has a major job to produce four more test aircraft and could not relax during the flight. "I will still be nervous until it comes back. I'm an engineer so I have to be connected to the ground and make sure everything is fine," he told reporters. Evrard said Airbus would soon add a customer in the United States, where industry sources say United Airlines is negotiating to expand an order for 25 jets. Airbus initially dismissed new mid-sized aircraft like the 787 as it focused on building the world's largest airliner, the A380 superjumbo, in the last decade. 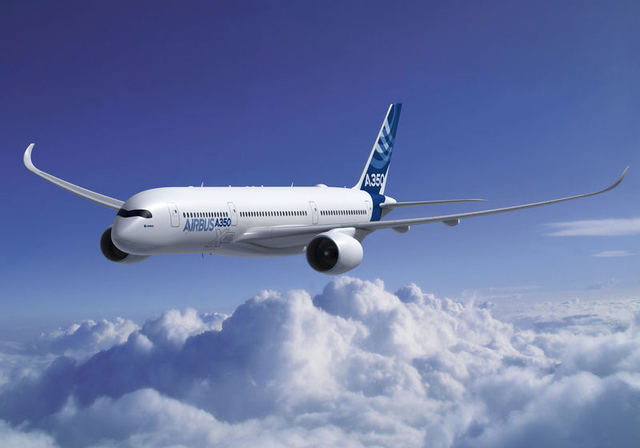 But faced with burgeoning Dreamliner sales, it changed tack and overhauled the design of the 270- to 350-seat A350 by adopting similar composites technology in 2006. To boost sales, Boeing is expected to soon confirm plans to build a larger version of its Dreamliner. It is also overhauling its 777 with new engines and wings.